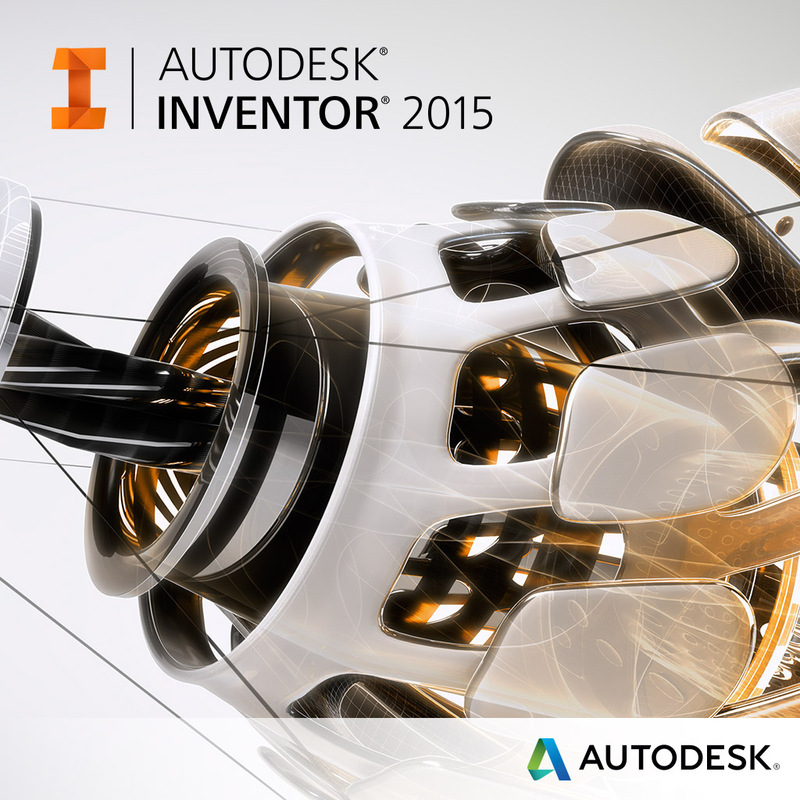 I have always thought that the manner of filling out the Inventor Title Block could be a little more stream lined. Is the Title in the block the Title from the iProperties or is it the Description? Then there are the multiple tabs and trying to find the correct information or even adding information that is not one of the current iProperties fields. By using an iLogic Form, you can create a method that provides all of the “relevant” fields required to fill out a Title Block in one easy form. You need no special training to create this form, just a little up front work. Above is the out of the box Inventor title block. Most information is easy enough to find however, I would like to introduce you to the method of using an iLogic Form. In a future tutorial, I will expand on this method to show you how you can customize this template to add Custom fields to your title block. Before I begin, I would like to point out that this work should be done to a copy of the drawing Template if you intend to use it on a regular basis. Make a copy of the base template, or of your company template, rename it and edit that one. If the iLogic Browser is not open go to the Manage tab then the iLogic panel and click on the “iLogic Browser”. 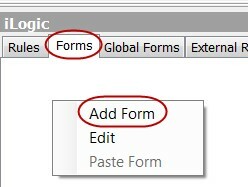 To create the Form, from the “iLogic Browser” select the Forms tab, right click and select Add Form. Here is the Form Editor. In the top right area (Design Tree) select Form 1 under the Label heading. In the Properties window lower right, click Label under the Name. 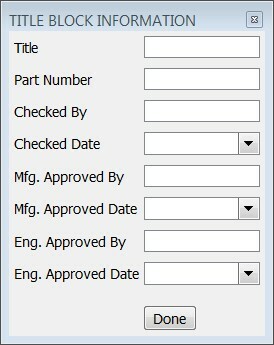 Highlight “Form 1” and type “TITLE BLOCK INFORMATION”. From the Tabs section in the upper left of the window, drag and drop all desired fields onto the Design Tree. You will notice that as you drop your fields in the design tree, they are added to the Form preview at right. The fields shown below are the default title block fields in the basic drawing template. When you are finished adding fields, click “OK” at the bottom of the window. A button with the label “TITLE BLOCK INFORMATION” is now in our Forms list. Click on the new button for the Form to open. As you enter your title block information the info will appear in the drawing title block. Click Done when finished. You can always reopen the form and edit the information when needed. That is it! It is that simple! All the relevant information at your fingertips in one Form. In my next tutorial, I will show you how to add custom fields, multi-value lists and then add them to your drawing template.